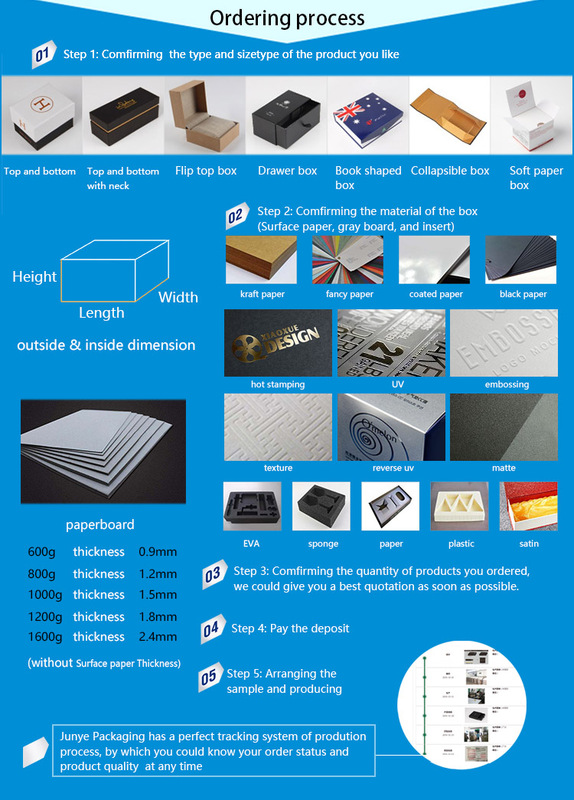 Material:Paper Board,Art Paper,PVC Sheet,Kraft Paper,Boardcard,etc. 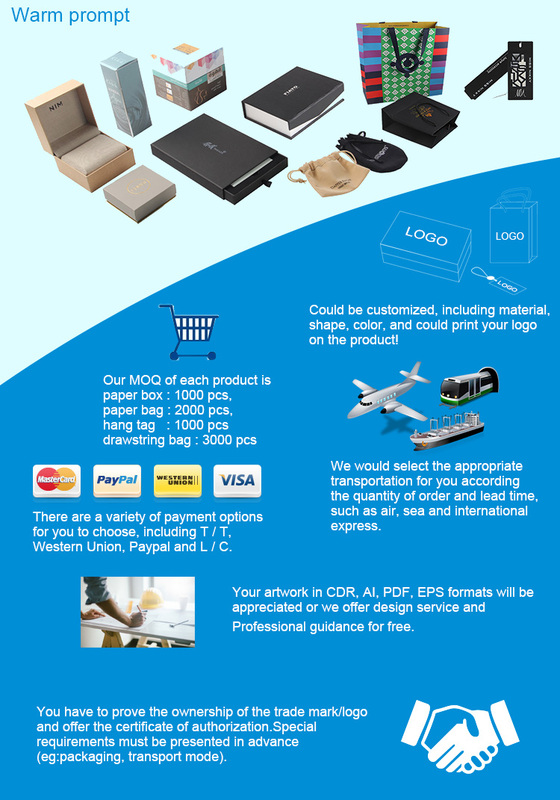 Junye Packaging manufacturer provides one stop paper packaging service to every customer from all over the world. 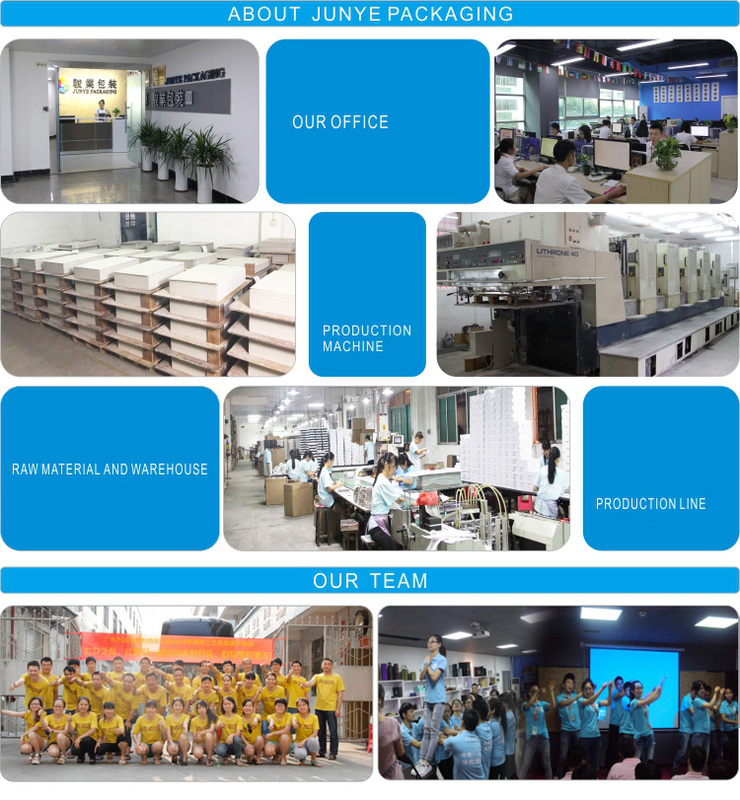 For customers ,Junye Packaging always showingenthusiasm and profession to grow together with customers. We have advanced equipments. Based on first-class facilities, technology andmanagement.With advanced machines, rational system, we are pretty sure you will be satisfied with the boxes. 1. Junye Packaging focus on paper packaging since 2001, including paper box,paper bag,hang tag,drawstring bag, Corrugated production line, etc. 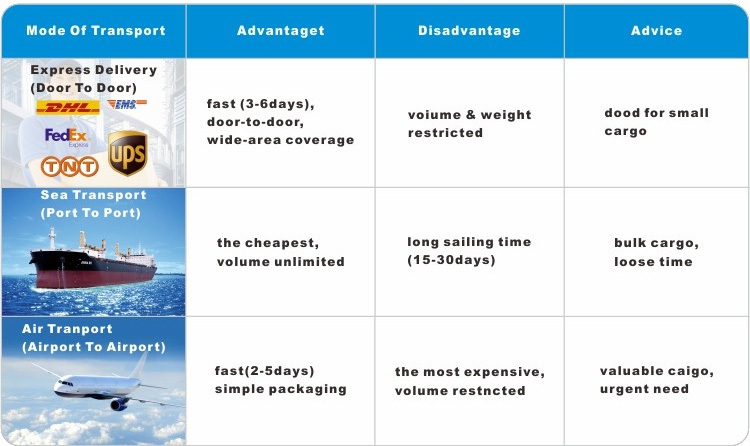 which could achieve one stop packaging solution. 4. Quick delivery time. 3-7 days for customized samples and 20days for bulk production.Stock samples are free of charge.